A scent of bread dough and yeast wafts through the air. In the factory hall stands a long row of stainless steel tanks, around the largest of which stairs wind up to a height of three stories. The technical equipment hums loudly, though inside the tanks, billions of tiny biological factories are going about their work in silence: bacterial cells, each of them an independent production unit. Together, they produce cystine, an amino acid used, for example, in the food and pharmaceutical industries. The only thing the bacteria need as a starting material is glucose. WACKER’s site in León in northern Spain specializes in bioengineering this amino acid with the aid of microorganisms. León is a city with a population of over 100,000 and a tourist hub – it is located on the well-known Camino de Santiago pilgrimage route. Microbiologists have been manufacturing bacterial products such as antibiotics here for over 50 years. WACKER is new to León. “We acquired the plant in León in 2016,” says Dr. Stefan Neumann, head of the Bioprocessing business line at WACKER. Since then, he has set up and expanded the site and its team bit by bit. The plant went into normal operation in late 2018. 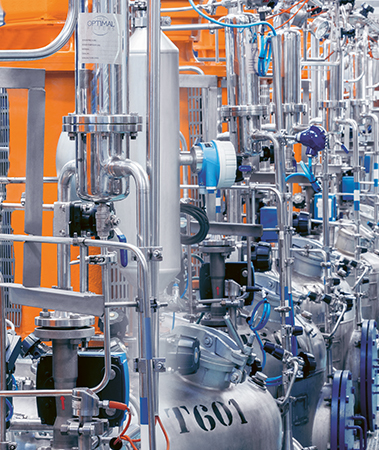 Last fall, Neumann and his team were busy starting up the cystine production plant. 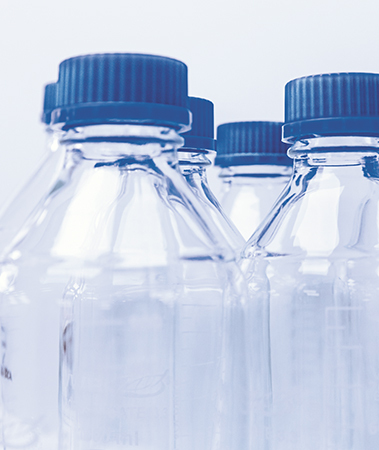 At the same time, the WACKER biotechnologists got their production certified in accordance with applicable food-production regulations – as proof that the plant produces food-grade cystine. “We have long been supplying customers from the food sector with cysteine, but had so far not manufactured it ourselves,” explains Neumann. Cystine consists of two cysteine molecules joined together. Industry predominantly uses the single amino acid, cysteine, which is obtained by splitting cystine. In León, WACKER specialists now produce cystine themselves. This offers several advantages: WACKER is no longer dependent on suppliers and is able to react to higher demand more quickly, while maintaining consistently high quality. The amino acid has a wide range of possible applications. As a food additive, cysteine creates a meaty flavor, even though it is vegetarian-grade itself. The amino acid is widely found as an additive in ready meals such as packet soups. It has a completely different function in large-scale bakeries. Here, cysteine removes gluten from flour, making doughs easier to knead and process. It plays a key role in the pharmaceutical industry as well. “Cysteine is often the starting material for active ingredients found in effervescent tablets that help clear mucous. Specialty solutions that doctors use in the artificial feeding of patients also contain the amino acid,” says Neumann. Before WACKER’s cysteine can be used, the bacterial “synthetic chemists” must get to work in the fermenters. 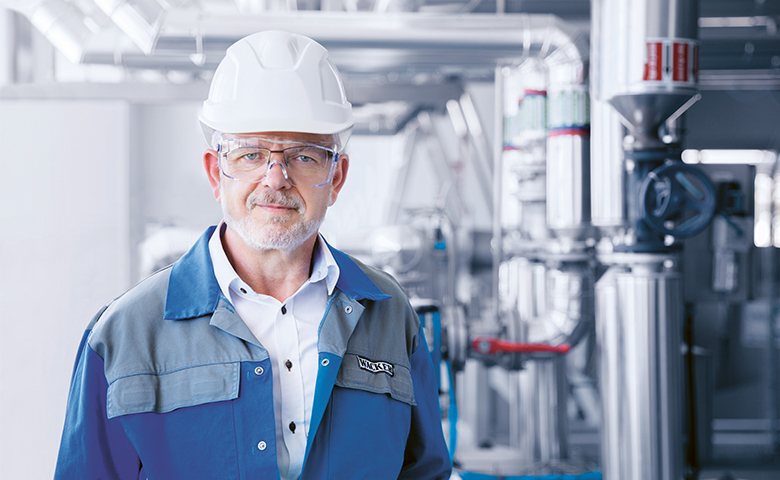 “Each one of our stainless-steel tanks has a capacity of 100,000 liters, but we start with just one milliliter,” explains Neumann. The biotech specialists divide this preculture into several larger vessels with correspondingly more growth medium. That’s how they increase the number of bacteria incrementally. The advantage of this method is continuous monitoring, which ensures that only the desired microbes are cultivated. Nutrient media are produced in the lab. 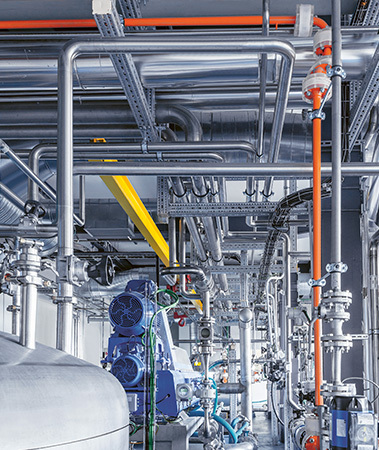 WACKER is the only company in the world to produce the amino acid cystine in extreme purity by fermentation using bacteria, with glucose and inorganic salts as feedstocks. Dr. Stefan Neumann has been building up and expanding the León site since 2016. Neumann’s team focuses on a special subspecies of the Escherichia coli bacterium. This type of microbe has been used in laboratories around the world for decades. The WACKER specialists in León work with a so-called “safe strain.” It is modified so that it cannot survive outside of the fermenters. In addition, WACKER has optimized the bacterial strain so that it makes as much cystine out of glucose as possible. When the culture in the fermenter has reached maximum density, the valuable product is taken out. “We then isolate the cystine from the bacteria. We use centrifuges do to this, among other things,” says Neumann. That’s how the experts separate the nutrient broth’s constituents by density. The purified cystine end product is a white powder that can be packaged and shipped. 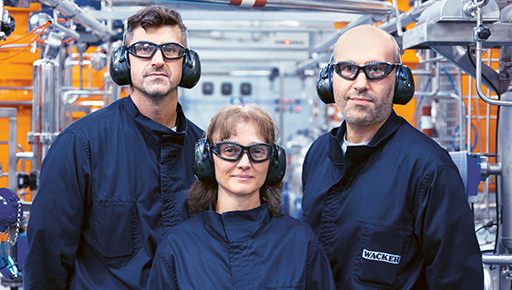 Thanks to their sophisticated process, WACKER biotechnologists are able to produce the complex cystine molecule from the raw material glucose. An advantage here is that the glucose used is purely plant-based, as it is obtained from grain. This means that the derivative cysteine is also vegetarian-grade, kosher and halal. The conventional method of obtaining cysteine, on the other hand, depends on animal hair, feathers or human hair as raw materials. These are broken down by hydrochloric acid, which splits the proteins into their amino-acid constituents. That’s how industrial chemists have long been obtaining cysteine on a large scale. “However, this method raises ethical concerns and is resource-intensive, because it uses large amounts of hydrochloric acid,” emphasizes Neumann. WACKER’s process is very different, as it only requires a fraction of the hydrochloric acid used conventionally. It won the company the 2008 Environmental Award from the Federation of German Industries (BDI). The biotech process is also ideal for standardizing production. “We have clearly defined media and starting materials for our cystine manufacture. Unlike processes based on animal hair, our raw materials are not subject to quality fluctuations,” explains Neumann. 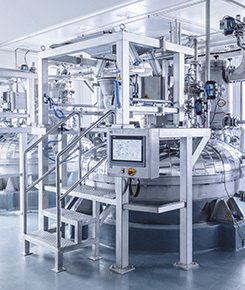 This is particularly important for the pharmaceutical and food industries, because these sectors demand very high quality and purity standards for their raw materials. The WACKER team in León, northern Spain, includes around 50 employees. León offered the WACKER team an ideal starting position for building up a high-quality manufacturing plant for cysteine. “The site’s long history has made the premises perfect for biotechnological production – from the delivery of raw materials to fermentation and purification, and shipment of the end product. We only had to look after minor modifications, such as an access airlock at the entrance to the fermentation hall, to ensure food-grade production,” says Neumann. The site is perfectly designed for biotech production. Now that WACKER produces cysteine itself, it no longer relies on the contracting party that had previously supplied the amino acid. The company has also built up its biotech expertise and increased its added value. “Integration of cysteine production was a logical step. The fact that we successfully completed the project together with our team and brought it into routine operation is a milestone for our future business,” says Neumann. There are currently some 50 people working at the site, mostly in production – and staff numbers are set to increase. There is no shortage of space: the site premises in León, northern Spain, covers around 100,000 square meters. In order to fully utilize the fermentation capacity in the future, customer acquisition activities are running at full speed in the Sales department. The starting position is good. Primarily for ethical reasons, the mindset in the food industry is changing. “For some time now, we have been observing a trend away from animal-sourced cysteine,” says Neumann. He is convinced that more and more companies will come on board and is already thinking of further products that could be produced by fermentation – although he does not want to reveal what they are. One thing is certain, however: the bacteria in León will not run out of work any time soon. So the fermenter medium will continue to emit the aroma of yeast and bread dough for the foreseeable future.